Classic, traditional style with contemporary touches, the Ankara Dresser and Mirror in espresso finish states a simple and easy life attitude. No much detailed decoration but the curve-line design give you a strong impression at the first sight. 8 deep drawers give you all the room you need for your items. 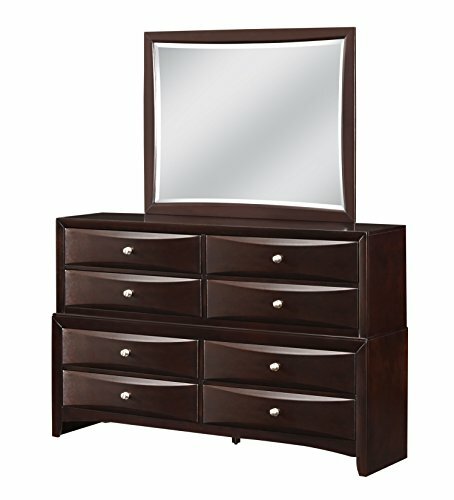 Curved drawer faces with silver toned hardware finish the look of this classic and practical Dresser and Mirror. It will definitely complete your room in elegant.